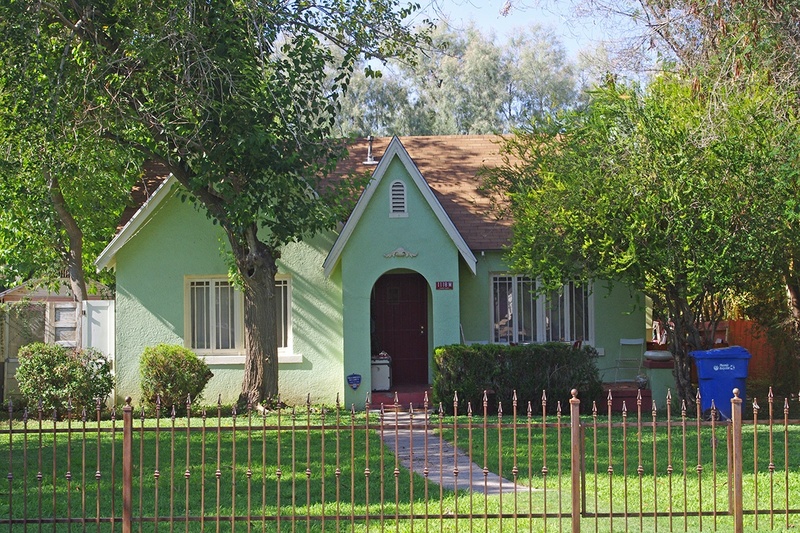 Idylwilde Historic District is roughly bounded by 11th and 12th Streets, Weldon and Fairmount Avenues. Each home backs into its own, private 3-acre park with a pool shared solely by its residents. These homes are built in the 1920’s and 1930’s consisting of Period Revivals, English Tudors, Spanish Colonial Revivals and Bungalows. Square footage is about 1,200 square feet on average. October 7, 1928 The Arizona Republican, which was the paper’s name at the time, advertised aggressively each day in the week prior to the subdivision’s opening flaunting the private, 3-acre park. There are only about 40 homes in this historic district with each homeowner owning a share of the park. The Period of Significance is 1928 to 1941. Historic Designation was given in June, 1991.